Bottom-Up food is, as you may have noticed, about making food from scratch. Bottom-Up Food is the opposite of the Food Network show where the “chef” makes dinner by combining three processed foods. It’s the opposite of the casserole made with a can of cream of mushroom soup, a bag of dried pasta, and a block of cheddar cheese from the dairy section. Sometimes even in the most seemingly “from scratch” recipes, though, we discover room for further decomposition. Take, for example, hummus. Most hummus recipes include tahini as an ingredient. In fact, that’s the one “ingredient” that’s the hardest for people to lay their hands on. I suspect lack of tahini stops a fair number of people from making hummus. But do these same people have sesame seeds and canola oil? They probably do. Which leads me to this important question: If tahini has only two ingredients — sesame seeds and canola oil — why in the world would you buy it instead of making it yourself? Especially when it comes in big huge jars that contain more than you’re likely to use before mold starts to eat it up for you. What kind of self-respecting hummus recipe would set you on the task of making hummus yourself but advise you to buy something like tahini, which is just as easy to make as hummus is, from the store? If you don’t feel like making tahini, why in the world do you feel like making hummus? 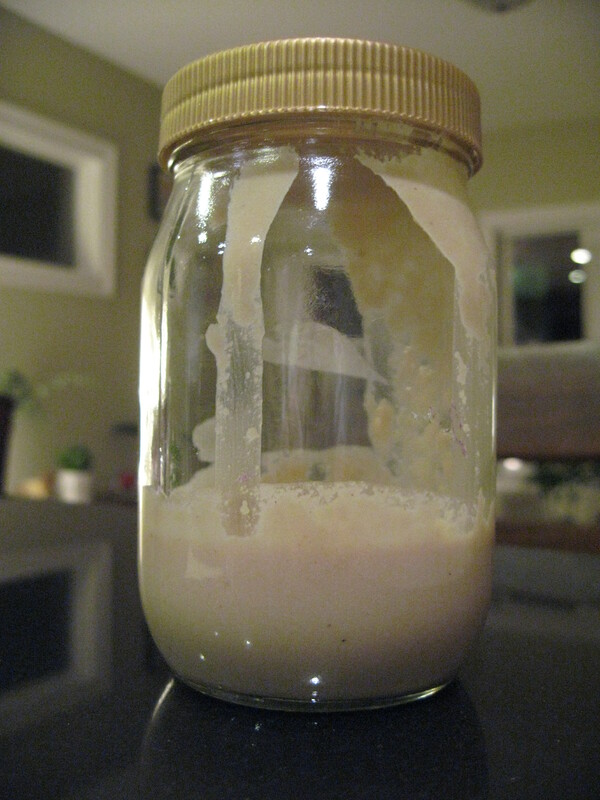 So make your own tahini. Run food processor while adding canola oil. It’s that easy. Give it a shot. This recipe yields 5 tbsp tahini, but you can easily double, triple, or even quadruple it. You only need to eyeball the tahini to keep the consistency right. Because I love crucifers, I plan to use my tahini in this cauliflower recipe from the New York Times Recipes for Health, and probably in some homemade hummus, too. The Recipes for Health series includes several other tahini recipes. I have my eye on either this hummus recipe or this one. You’ll notice they both call for tahini! ← What’s Gotten Into This Cat? And This Dwarf Orange Tree? If you’re wondering where you can get lots of sesame seeds for reasonable rates, check out Costco ($4.35 for 18oz) or MarketSpice (www.marketspice.com, $9.95/lb). Thanks for the info. I will file this and never buy tahini again.